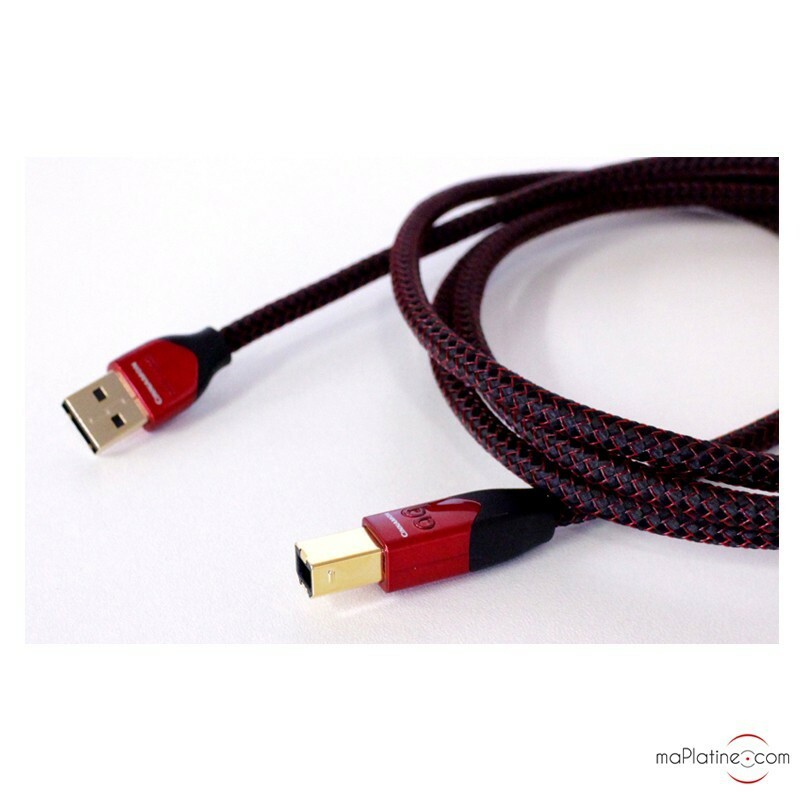 USB 2.0 cable specifically designed for a very high quality audio application. 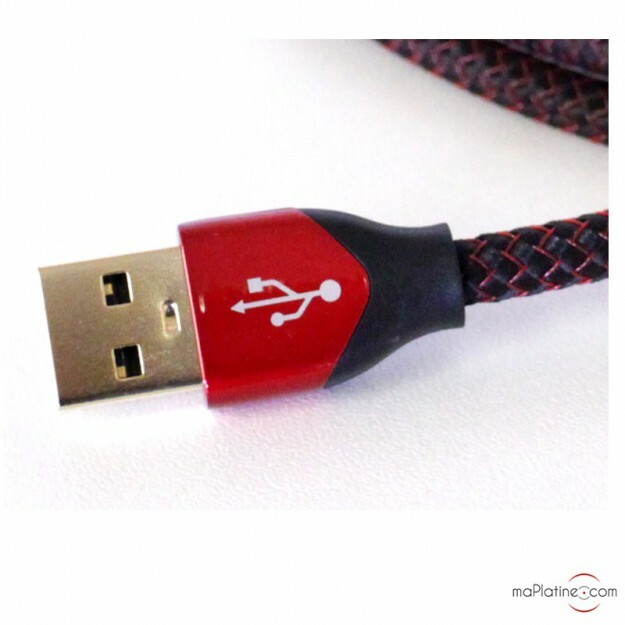 Pioneering audio cable manufacturer Audioquest started focusing on the importance of digital audio connectors 25 years ago. 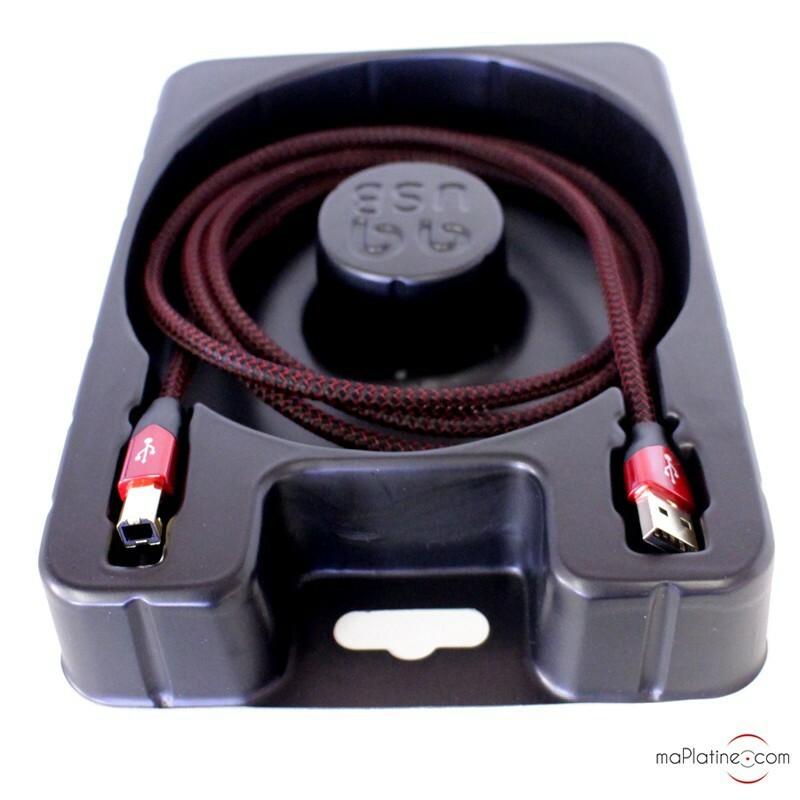 The issues with an SPDIF coaxial cable are not eliminated with an HDMI or USB connector! Actually, these connectors require high speed transfers with a high rate, which multiplies the error rate and affects musical quality. 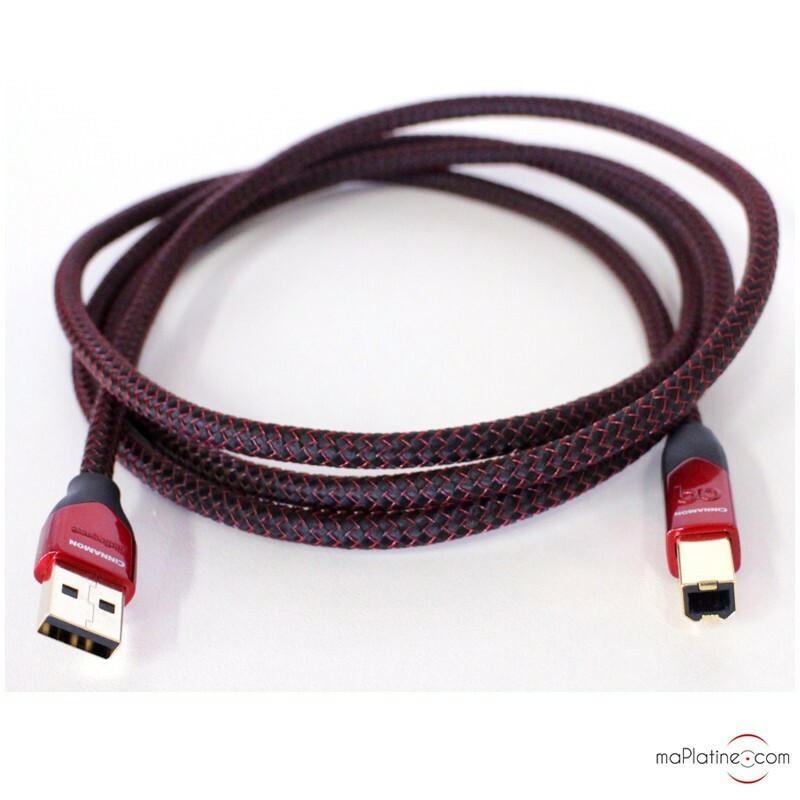 The US manufacturer has developed a range of USB cables specifically dedicated to high definition digital audio. 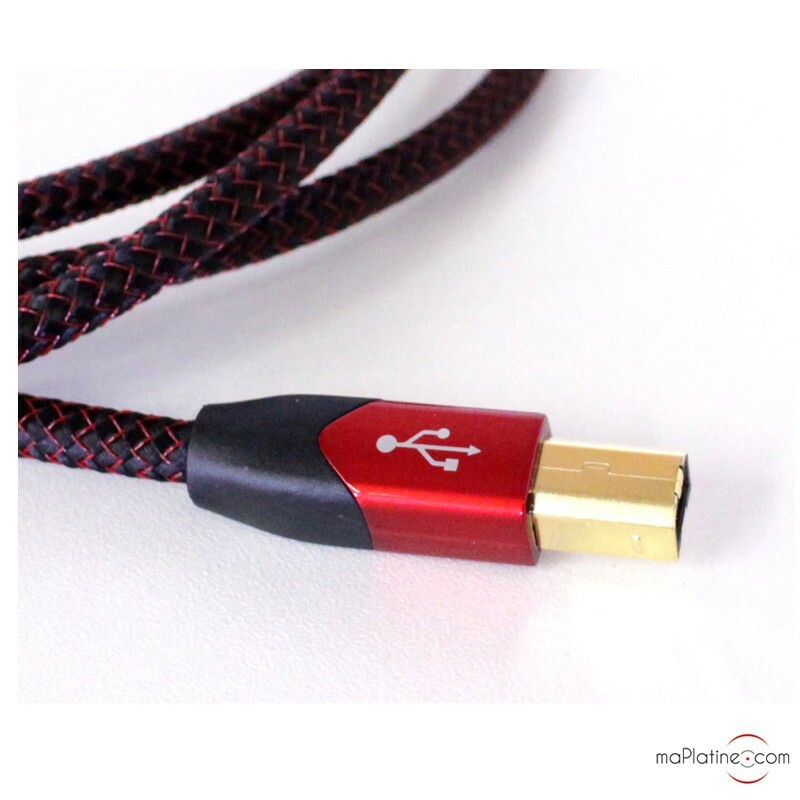 They are designed to connect a PC to a USB DAC with best transfer quality. This Cinnamon USB cable therefore uses high purity LGC single strand 1.25% silver-plated copper conductors. They are not welded, they are cold assembled via an electric current of several thousand amperes. As always, the insulators are meticulously crafted and made out of polyethylene and air, for minimum energy loss and reduced distortion. The gold-plated connectors are of high quality and provide excellent mechanical and electrical connection.